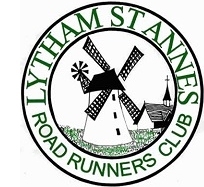 Although we are predominantly a road running club, several members enjoy the opportunities afforded them to get off the tarmac and onto the fells and trails. Trail races tend not to get onto the fells, sticking mainly to rural tracks, often with lots of mud involved. There are no organised trail competitions, members just enter trail races as they fancy. Fell races tend to get out onto the fells, as the name implies, running over hills, moors and mountains. There is a Fell strand to the Interclub series which runs as a standalone competition. The InterClub Committee will chose four fell races each year and these are used for the InterClub Fell Competition. The Inter Club dedicated web site lists all the results you could possibly want to know, plus more. All races are included in the Club Championship, those in red comprise the Inter Club Fell Championship.